Long-term planning is an art. But it might take a real scientist to tackle a hundred-year planning horizon! 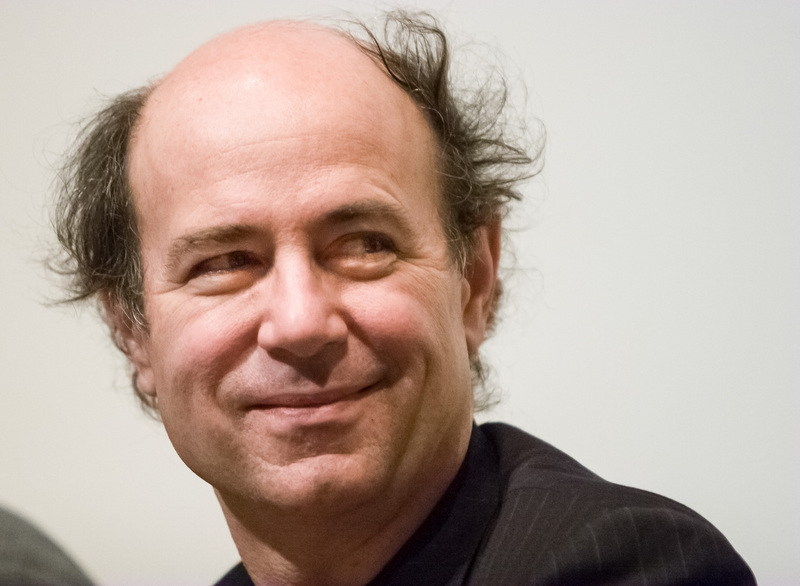 Frank Wilczek is a Nobel Prize winner in theoretical physics, awarded for his work in quantum chromodynamics (quarks, to you and me). 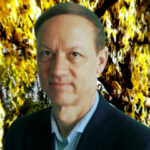 He is currently the Herman Feshbach Professor of Physics at M.I.T. Professor Wilczek was invited to speak at Brown University’s 250th anniversary last year, and was asked to make predictions about the future of physics and technology 250 years from now. Considering that a much too difficult assignment, he modified (re-normalized in physics terms) the assignment to looking forward into the next century. We won’t look here at his predictions for advancement in physics, many of which have to do with further unification of the laws of physics, such as supersymmetry, but instead focus on long-term planning for technology and his predictions in that area. His paper “Physics in 100 Years” is available here: http://arxiv.org/pdf/1503.07735.pdf and includes both the physics and technology predictions and other speculations about the future of humanity. Here are some of his technology predictions (quotes from the paper are shown in italics) along with our elaboration, interpretation and reflections. Calculation will increasingly replace experimentation in design of useful materials, catalysts, and drugs, leading to much greater efficiency and new opportunities for creativity. Computation is key to the nanoscale revolution for developing super-strong yet highly flexible and lightweight materials that can be 3-D printed for a wide variety of applications. And rapid computation is key to developing new drugs specific to individuals’ genetic makeup (targeted gene therapies). Calculation of many nuclear properties from fundamentals will reach < 1% accuracy, allowing much more accurate modeling of supernovae and of neutron stars. Physicists will learn to manipulate atomic nuclei dexterously, as they now manipulate atoms, enabling (for example) ultra-dense energy storage and ultra-high energy lasers. Currently, all we are really able to do at the nuclear level is build fission reactors and fission or fusion bombs. As one example, hydrogen fusion will become economically viable during this century, liberating tremendous amounts of energy from deuterium and tritium (heavy hydrogen nuclei) extracted from water, but with lower associated risks as compared to nuclear reactors using uranium. Capable three-dimensional, fault-tolerant, self-repairing computers will be developed. In engineering those features, we will learn lessons relevant to neurobiology. The human brain is a 3-D construct with an extremely complex network and employing high degrees of parallelism, which is key to its processing speed and thus intelligence. Computers as systems are today packaged to some extent in 3-D, but are intrinsically based around 2-dimensional CPU chips and 2-D memory chips. These chips are connected one to the other with simple networks. In the future CPUs, together with their associated memory, will be designed with 3-D architectures, allowing for much faster speeds, much higher connectivity and very much greater memory bandwidth. Quantum computing technology based on more robust qubits, rather than bits, will be well-established, allowing for tremendous speedups for certain classes of algorithms. 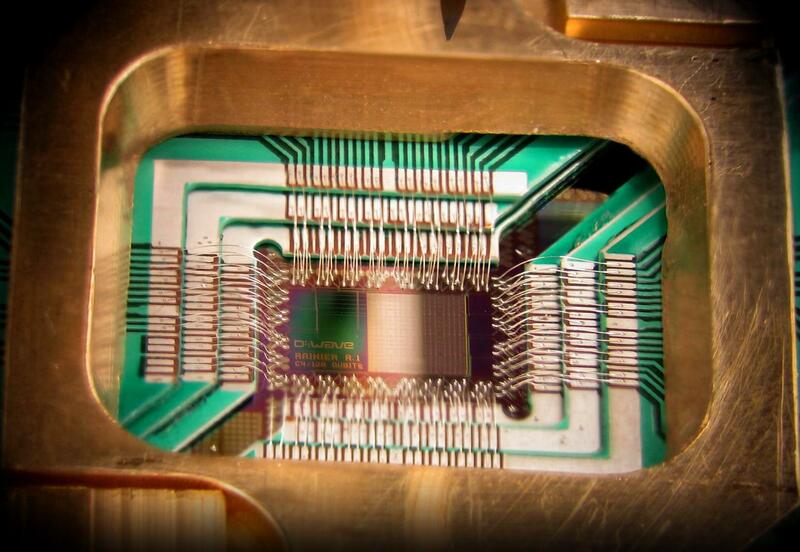 The image below is of the CPU chip from the first line of commercially available quantum computers. One of these DWave systems is operated jointly by Google and the NASA Advanced Supercomputing Facility in Mountain View, California. Self-assembling, self-reproducing, and autonomously creative machines will be developed. Their design will adapt both ideas and physical modules from the biological world. We’re talking intelligent robots, here, folks! And other autonomous, intelligent, and yes, self-reproducing machines, some very tiny (able to enter the bloodstream for medical purposes), others very large (see macroscale). Artificial organs. Asteroid mining machines. Robot armies (war without human casualties?). The possibilities are endless. Asimov’s 3 laws of robotics will be enforced. Bootstrap engineering projects wherein machines, starting from crude raw materials, and with minimal human supervision, build other sophisticated machines – notably including titanic computers – will be underway. Future supercomputers will self-assemble, with limited human oversight in the assembly process. Programming will have much higher levels of machine assistance, with problem statements represented at a very high level. Machinery and vehicle production will be almost entirely automated. A substantial fraction of the Sun’s energy impinging on Earth will be captured for human use. 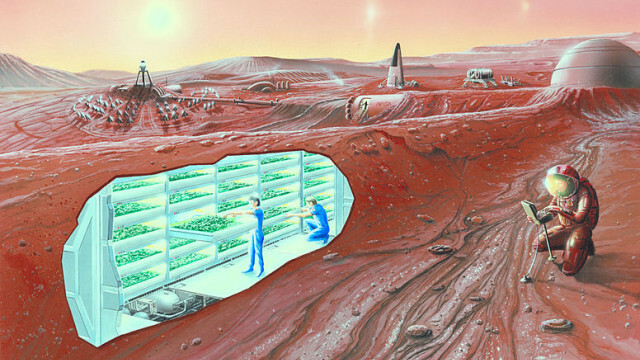 The deserts will bloom with advanced solar cells and superconducting transmission lines. 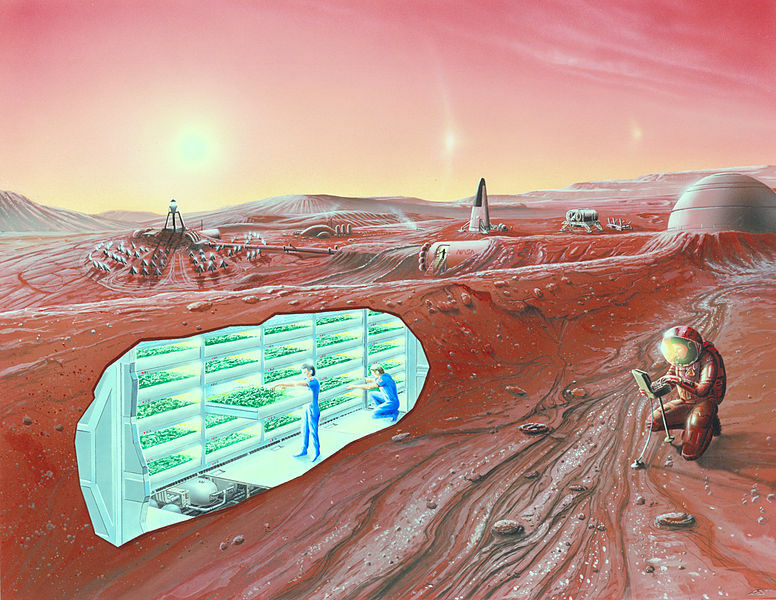 Humankind will have settled and begun working in the inner solar system, including the Moon, Mars, one or more major asteroids, and one or more of Jupiter’s moons (e.g. Europa, Callisto). Imagine how much has changed in the past 100 years. No one had flown on a commercial aircraft. Very few people had telephones or automobiles or radios. And consider that the pace of discovery, knowledge acquisition and technological development is today much higher, and still accelerating. A 100 years from now, average human lifetimes should exceed a century, based on revolutionary medical advances and ever safer transportation. We’d be interested to hear from you, what are your thoughts on the state of technology a century from now? Please comment.